Josiah Thomas, miner, Wesleyan lay preacher, temperance man and federal minister, was born in Camborne, Cornwall, England, on 28 April 1863, the son of Josiah Thomas and his wife Ann, née Rablin. As a boy, Josiah accompanied his father, probably a mine manager, to the Mexican silver mines. Largely self-educated, the young Thomas worked in the Cornish mines. He seems to have arrived in Australia during the 1880s. He made for the Barrier mine and at various times worked as a miner, mine manager and assayer at Umberumberka, Purnamoota and Broken Hill South. Thomas became a member of the Amalgamated Miners’ Association executive from the early 1890s and served as president of its local branch in 1892. As a member of the Strike Defence Committee during the prolonged strike of that year, he visited South Australia and Queensland to raise funds for beleaguered strikers. It appears that as a result of this, he was dismissed from the mine. On 27 July 1889, at a Wesleyan service in Broken Hill, Thomas had married Henrietta Lee Ingleby, a milliner of Broken Hill. The ill effects of lead on miners and their families led him to press for an investigation of the issue and to encourage the return of his wife and daughter to Adelaide because of concern for the child’s health. An inquiry was held, but not before Thomas himself was afflicted with lead poisoning. The committee’s three members, including Thomas, concluded that the ‘matter of lead-poisoning is of far-reaching importance and urgently requires attention in the general public interest’. In 1894, Thomas was elected a Member of the Legislative Assembly for the seat of Alma in the New South Wales Parliament. Among his concerns was the well-being of miners and their families. He supported the Widows of Miners Pensions Bill, and following an increase in fatal mining accidents at Broken Hill advocated a ‘long-promised extra inspector of mines’. Engaging in debate on the 1897–98 Constitution Bill, he baulked at the stipulation that changes to the proposed Constitution would require the support of a majority of states as well as that of the electors. Strong support for Federation in Broken Hill, where the federal compact was seen as the best outcome for Australian intercolonial and interstate trade, seems to have resolved any ambivalence Thomas may have had on the subject. Elected to the first Federal Parliament as the Member for Barrier, Thomas chaired the House of Representatives select committee that inquired in 1905 into Australia–United Kingdom shipping, and the subsequent royal commission on the ocean shipping service that grew from the select committee. As Postmaster–General (1908–09, 1910–11), he had the carriage of the legislation (first introduced by Austin Chapman in 1907), which established penny postage throughout Australia.As Minister for External Affairs (1911–13), Thomas followed E. L. Batchelor, who had left his mark firmly on the portfolio. Thomas developed a special interest in Papua and called for the erection of a wireless station at Port Moresby to assist in opening up the territory. In 1916, the year in which he lost a son on active service in France, Thomas was abroad at the Empire Parliamentary Association conference. He therefore played no direct role in the conscription campaign. However, he followed W. M. Hughes out of the Labor Party into what became the Nationalist Party. The local branch of the Labor Party responded by passing a motion of no confidence in Thomas in 1917. At the May 1917 federal election, Thomas did not seek re-election for Barrier, but stood, successfully, for the Senate as a Nationalist. In the Senate, Thomas furthered his Rechabite interests by chairing, in 1918, the select committee on the effect of intoxicating liquor on soldiers. The report stopped short of recommending a total ban on liquor sales due to the ‘diversity of opinion’ expressed by witnesses, although a dissenting report, signed by Thomas, as well as Senators Bolton and Guy called for prohibition. In May 1920, Thomas attempted to focus attention on the granting to ministers of ‘the right of entrance to and audience in both houses of the parliament’. This matter had been raised at the 1897 Australasian Federal Convention in Sydney. His membership of both federal Houses convinced Thomas that ‘the Minister in charge of a Bill . . . is in a better position to explain the measure, and secure its passage in the other branch of the Legislature, than a Minister who may be acting for him there’. On 13 May 1920, the Senate agreed to Thomas’ motion, seconded by Senator Foll: ‘That the Standing Orders Committees of the Senate and House of Representatives be requested to consider the question of preparing Standing Orders providing that a Minister in either House may attend and explain and pilot through the other House any Bill of which he has had charge in his own House’ and that the resolution be forwarded to the House of Representatives for concurrence. The matter, which would have increased Senate scrutiny of the executive, did not find favour with the Government, and lapsed at the prorogation of Parliament in January 1922. During this last term, he chaired the select committee that inquired into the sending of messages from Australia to England over the beam wireless at a penny a word. The inquiry reflected Thomas’ wish to nationalise wireless communication in order to advance imperial unity. In its report, the committee recommended that the Commonwealth should wholly own beam wireless facilities. 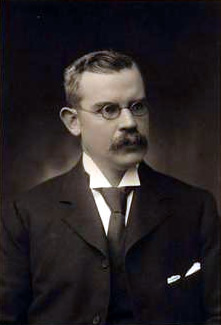 Ernest Fisk, wireless pioneer and chairman of Amalgamated Wireless (Australasia), disagreed with the recommendations. Fisk’s company enjoyed a monopoly of Australian/overseas wireless communications in which the Commonwealth already held a controlling share. Fisk successfully lobbied the Prime Minister, S. M. Bruce, against accepting the recommendations, debate on which was repeatedly adjourned through 1929, 1930 and 1931. The matter was shelved on 20 March 1931, though Thomas, a member of the British Empire League, would continue to support improved wireless links throughout the British Empire. Thomas had been defeated at the 1922 election, but on 13 January 1926 returned to the Senate to fill the casual vacancy caused initially by the death of Senator McDougall. He was thus a senator when the then ‘new’ Parliament House opened in Canberra in 1927. In fact, it appears that he was the leading light in the organisation of a chess match—via beam wireless— between Australian and British parliamentarians. Thomas proposed himself as leader of the Australian team while the Duke of York agreed to make the first move. Research has not yet revealed whether or not the match eventuated, but we do know that Thomas stood for the 1928 federal election, and was again defeated. He died at his home, ‘Ingleby’, in the Sydney suburb of Croydon Park on 5 February 1933. His first wife, Henrietta, had died in 1901, and on 20 February 1909 at Stow Memorial Church, Adelaide, Thomas had married his wife’s sister, Clara, née Ingleby. Clara survived him with one son of each marriage, Henry and Kingsley, respectively. Another son and daughter of his first marriage had predeceased him. Thomas was buried in the Methodist section of Rookwood Cemetery. The President of the Senate, Patrick Lynch, concluded that Thomas ‘belonged to that rather rare class of public men who are willing to give of their best for the advancement of the public weal’, suggesting also that this had involved some measure of financial sacrifice. Bruce Pennay, ‘Thomas, Josiah’, ADB, vol. 12; Bulletin (Sydney), 4 August 1904, p. 15; Australian Worker (Sydney), 8 February 1933, p. 19; Bulletin (Sydney), 13 January 1900, p. 13; Punch (Melbourne), 7 January 1909, p. 4; SMH, 9 April 1901, p. 4; Brian Kennedy, Silver, Sin, and Sixpenny Ale: A Social History of Broken Hill 1883–1921, MUP, Carlton, Vic. 1978, pp. 57, 63–66; NSWPP, Report into the prevalence and prevention of lead poisoning at the Broken Hill silver-lead mines, 1893. NSWPD, 8 December 1898, p. 3094, 31 October 1899, p. 1800, 3 June 1897, p. 893; Fighting Line (Sydney), 20 April 1917, p. 5; Kennedy, Silver, Sin and Sixpenny Ale, pp. 84–86. AWU 16th Annual Conference Report, E154/17, Butlin Archives, ANU; P. G. Edwards, Prime Ministers and Diplomats: The Making of Australian Foreign Policy 1901–1949, OUP, Melbourne, 1983, p. 12; CPD, 3 November 1910, pp. 5632–5639, 9 November 1910, p. 5864, 13 October 1911, pp. 1436–1437, 19 December 1911, p. 4759; George Dale, The Industrial History of Broken Hill, Fraser & Jenkinson, Melbourne, 1918, pp. 224–225. CPP, Report of the select committee on the effect of intoxicating liquor on Australian soldiers, 1918; AFCD, 17 September 1897, pp. 793–799; G. S. Reid and Martyn Forrest, Australia’s Commonwealth Parliament 1901–1988, MUP, Carlton, Vic., 1989, p. 336; CPD, 13 May 1920, pp. 2067–2072; Derek Drinkwater, ‘To Speak or Not to Speak: Ministerial Accountability in the Senate and the House of Representatives’, Legislative Studies, vol. 13, Autumn 1999, pp. 47–55. CPP, Report of the select committee on sending beam wireless messages from Australia to England, 1929; CPD, 13 September 1928, p. 6666. The story of the chess match comes from some loose pages of Cabinet Committee correspondence held in the Senate Resource Centre; Pennay, ‘Thomas, Josiah’, ADB; SMH, 6 February 1933, p. 10, 7 February 1933, p. 6; Punch (Melbourne), 4 March 1909, p. 310; Southern Sphere (Melbourne), 1 July 1910, p. 6; CPD, 8 March 1933, pp. 3–4, 25 May 1933, pp. 1751–1752. This biography was first published in The Biographical Dictionary of the Australian Senate, vol. 1, 1901-1929, Melbourne University Press, Carlton South, Vic., 2000, pp. 64-67.